We’ve got another very, very cool giveaway this week, with the chance to win a custom ski from Folsom. 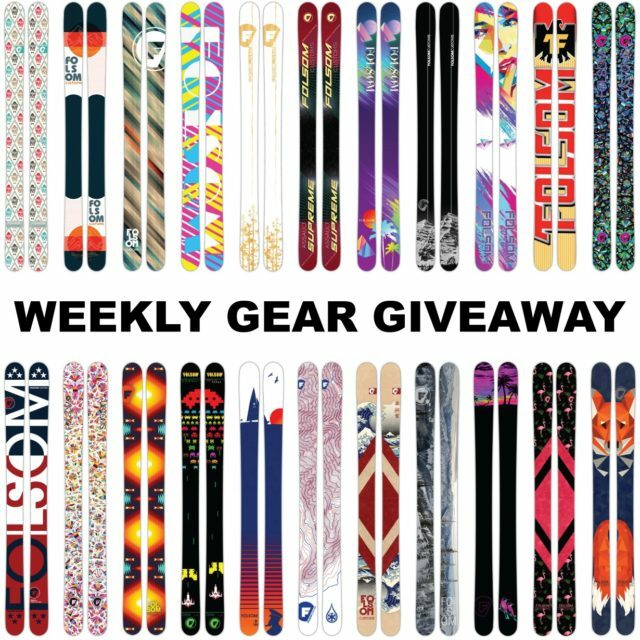 The winner of this week’s Gear Giveaway will get to choose from one of Folsom’s many shapes, then work with them to customize the flex pattern, construction, rocker profile, and graphics in order to make the ski that best suits you. Just a few of Folsom's many shapes and graphics. Folsom has a ton of shapes to choose from, so no matter where you ski, you can get a ski that will work for you. From powder-oriented designs like the Rapture, Powfish and Trophy, to all-mountain shapes like the Primary, Completo, and Cash 106, to frontside skis like the Spar 88, Rad Dad, and even their straight ski, the TRN TEK. This is a pretty awesome opportunity to get the ski you’ve always wanted, but couldn’t find from the stock skis on the market. So enter before Friday, January 25 for your chance to win. By entering, you’ll also receive our weekly Blister newsletter, where we’ll (a) announce each week the winner of our previous Gear Giveaway, (b) provide a roundup of the news and our highest-profile reviews of the past seven days, and (c) offer sneak peeks of the products we’re currently reviewing. It’s good times for sure, so don’t miss out. You’ll also be kept up to date on all the latest from Folsom. Good luck! How will you know where we live if we are to win? I have been trying to get skis all year, but I can’t afford a pair that actually fits. My old por of skis and boots are way way too small. I really hope I win here! Ohh my god i have been waiting for this moment all my life never had the ability to buy ski but i really hile to win this time this for sure will change my life! !